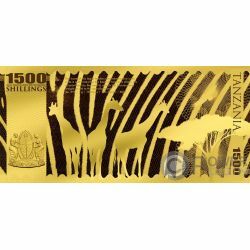 This incredible Gold note is part of the new “Big Five Gold Notes” series, dedicated to some of the most fascinating species in the world. 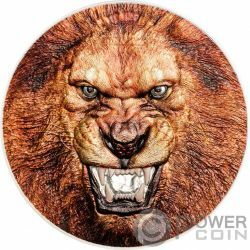 In this edition – the Lion. 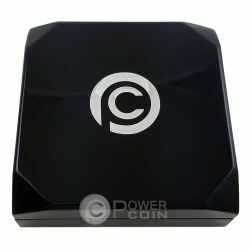 The note has an incredible thin and flexible sheet design, has a Proof quality and it incorporates the Certificate of Authenticity. 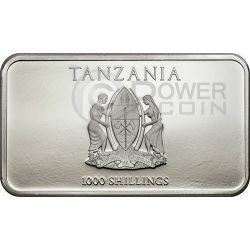 Limited mintage to 1.500 pcs worldwide. 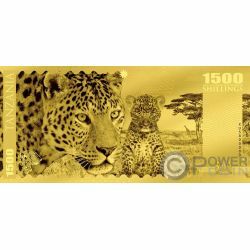 This incredible Gold note is part of the new “Big Five Gold Notes” series, dedicated to some of the most fascinating species in the world. 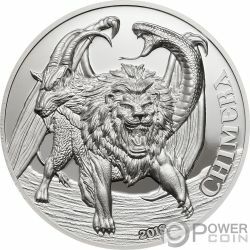 In this edition – the Buffalo. 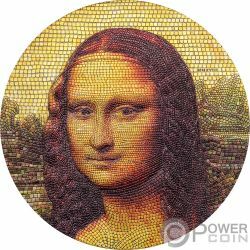 The note has an incredible thin and flexible sheet design, has a Proof quality and it incorporates the Certificate of Authenticity. 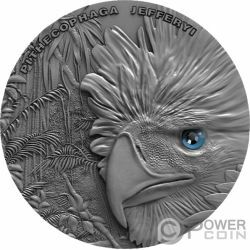 Limited mintage to 1.500 pcs worldwide. 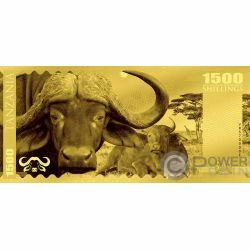 This incredible Gold note is part of the new “Big Five Gold Notes” series, dedicated to some of the most fascinating species in the world. 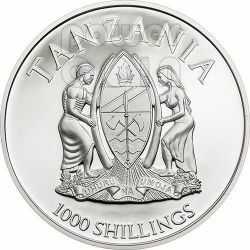 In this edition – the Elephant. 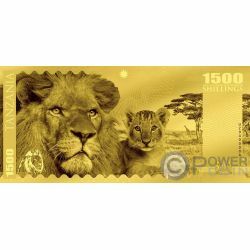 The note has an incredible thin and flexible sheet design, has a Proof quality and it incorporates the Certificate of Authenticity. 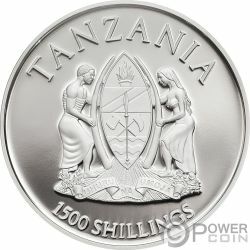 Limited mintage to 1.500 pcs worldwide. 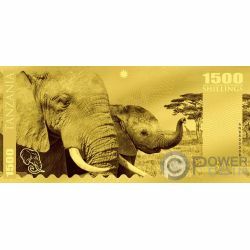 This incredible Gold note is part of the new “Big Five Gold Notes” series, dedicated to some of the most fascinating species in the world. 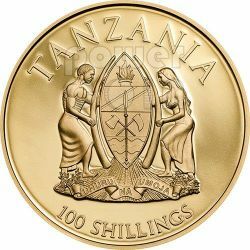 In this edition – the Leopard. 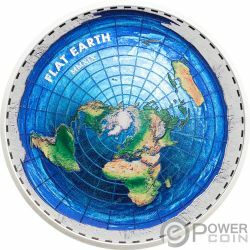 The note has an incredible thin and flexible sheet design, has a Proof quality and it incorporates the Certificate of Authenticity. 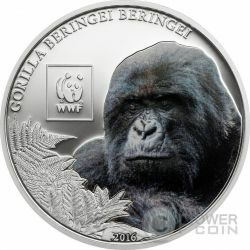 Limited mintage to 1.500 pcs worldwide. 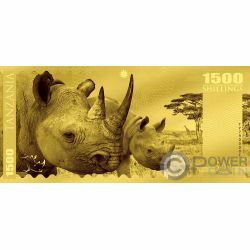 This incredible Gold note is part of the new “Big Five Gold Notes” series, dedicated to some of the most fascinating species in the world. In this edition – the Rhino. 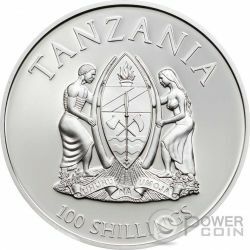 The note has an incredible thin and flexible sheet design, has a Proof quality and it incorporates the Certificate of Authenticity. 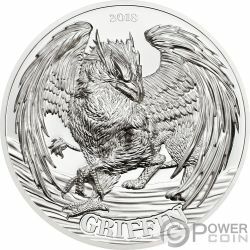 Limited mintage to 1.500 pcs worldwide. 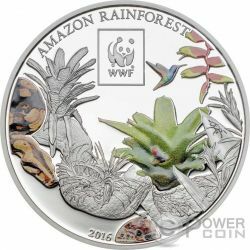 The successful series Officially licensed by WWF, continues with another set depicting charismatic, endangered species and ecosystems. Sixth in line is the Green Sea Turtle, an endangered species. 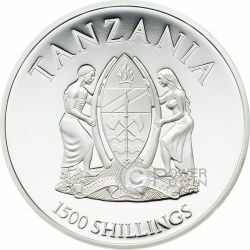 The coin is Silver-plated and has an impressive coloration. 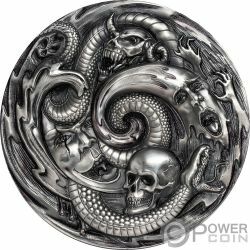 Limited mintage to 5.000 worldwide! 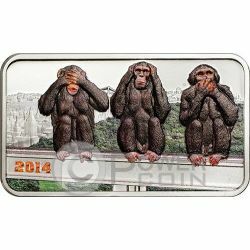 The successful series Officially licensed by WWF, continues with another set depicting charismatic, endangered species and ecosystems. 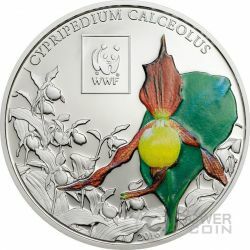 Fifth in line is the Lady's Slipper Orchid, an orchid native to Europe and Asia. 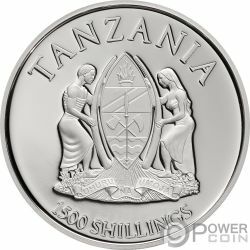 The coin is Silver-plated and has an impressive coloration. 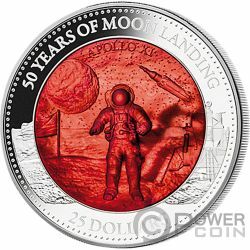 Limited mintage to 5.000 worldwide! 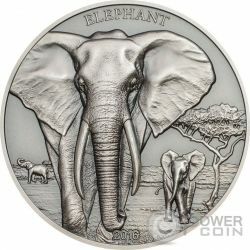 This beautiful Silver coin is the second of the series “High Relief Animals” and is dedicated to the world’s largest land mammal, the Elephant. 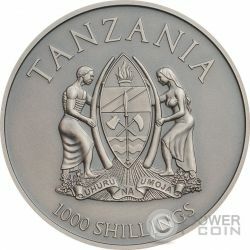 The coin is minted with high relief, has an Antique Finish quality and 1 Ounce weight. 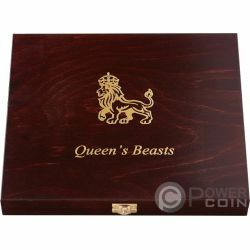 Will be shipped in a special box, along with the Certificate of Authenticity. 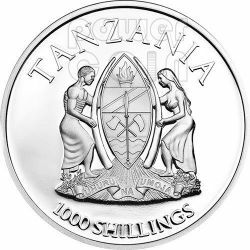 Limited mintage to 999 pieces. 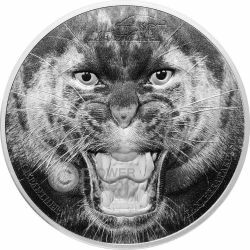 This beautiful Silver coin is part of the series “Rare Wildlife” and depicts the Black Panther, with the best relief ever and Black Coloring thanks to a new technique with shiny Silver coming through. 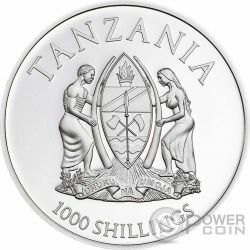 The coin has a Proof quality and 2 Ounces weight. 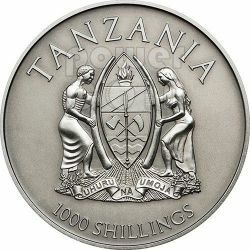 Mintage extremely limited to only 999 pieces worldwide. 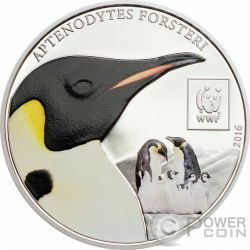 The successful series Officially licensed by WWF, continues with another set depicting charismatic, endangered species and ecosystems. Third in line is the Amazon Rainforest, one of the most species-rich places on earth. 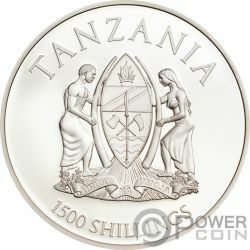 The coin is Silver-plated and has an impressive coloration. 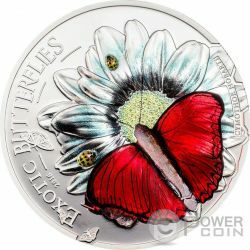 Limited mintage to 5.000 worldwide! 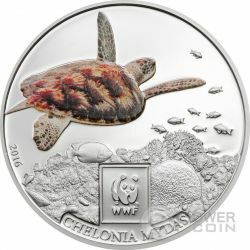 The successful series Officially licensed by WWF, continues with another set depicting charismatic, endangered species and ecosystems. 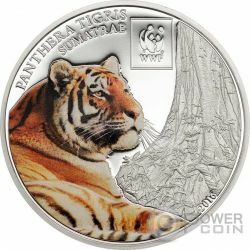 The 2016 series portrays the Sumatran Tiger. 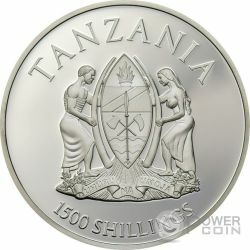 The coin is Silver-plated and has a beautiful coloration. 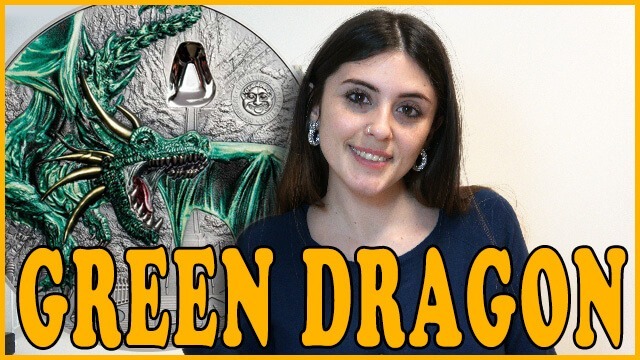 Limited mintage to 5.000 worldwide! 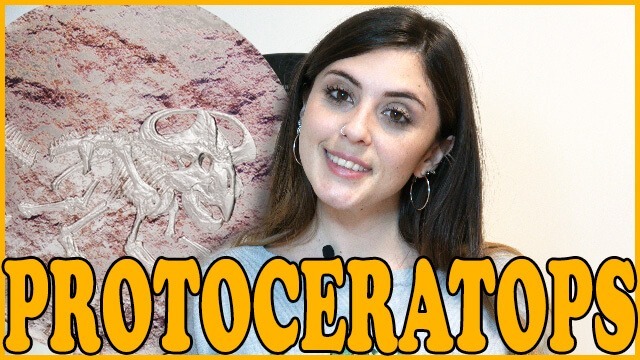 The "Predator Hunters" series is dedicated to particular hunter creatures of animal world. 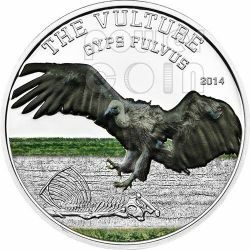 This third silver issue is dedicated to the Vulture (Gyps Fulvus). 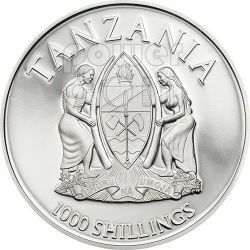 Mintage extremely limited to 1000 pcs only! 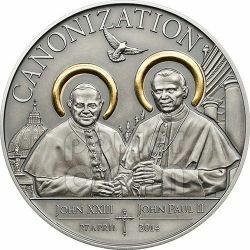 April 27th, 2014, for the first time in the church’s history, two popes will be canonized on the same day. In a public mass in St. Peter’s Square, Pope Francis will elevate his two, still popular, predecessors John XXIII and John Paul II to saint status. 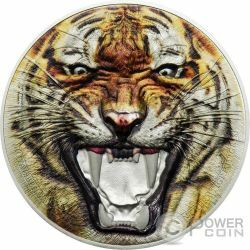 To celebrates this special event, it is issued this gilded coin. 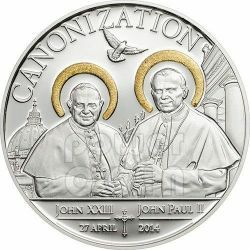 April 27th, 2014, for the first time in the church’s history, two popes will be canonized on the same day. In a public mass in St. Peter’s Square, Pope Francis will elevate his two, still popular, predecessors John XXIII and John Paul II to saint status. 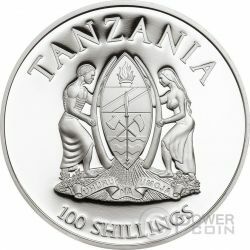 To celebrates this special event, it is issued this silver proof coin, handmade gilded. 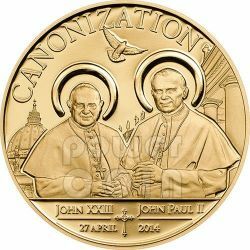 April 27th, 2014, for the first time in the church’s history, two popes will be canonized on the same day. 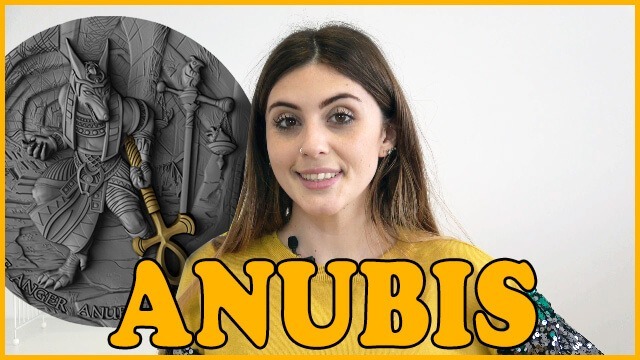 In a public mass in St. Peter’s Square, Pope Francis will elevate his two, still popular, predecessors John XXIII and John Paul II to saint status. 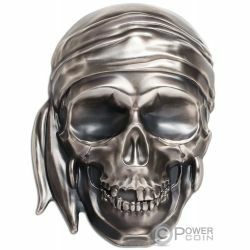 To celebrates this special event, it is issued this silver antique finish selectively gilded coin. 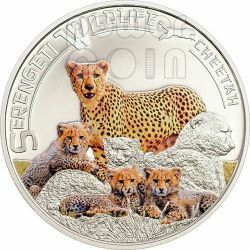 This Tanzanian commemorative coin, dedicated to the world’s fastest land animal, portrays a cheetah family resting on a mound overlooking the Serengeti; it belongs to 'Serengeti Wildlife' series. 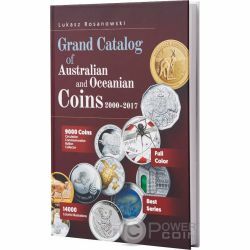 Mintage extremely reduced of only 1.250 pieces worldwide.